We all NEED Birthday cards right? BUT if you wanted to go with the alternate option of *ANYTHING GOES* thats fine.. So hurry and enter your fun projects featuring House-Mouse, Gruffies and or Happy Hoppers images from House-Mouse Designs®. 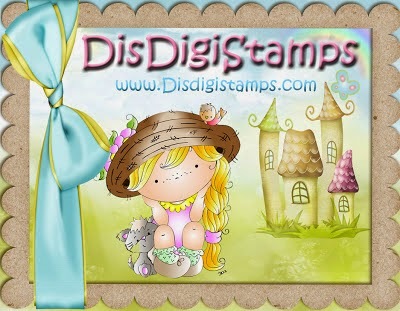 You can use HMD Stamps, HMD CD collections and/or HMD Decoupage. Hostess and Teamie Christine has also generously offered this HMD Gruffies Set of Unmounted Stamps as CANDY to one Lucky Winner! That's 3 GREAT PRIZES, so 3 Chances to win!! So be sure to play! Enter as often as you'd like with NEW creations. Please do not backlink. Entries must be submitted by Midnight, EST, on Saturday April 11th, 2015. We cant wait to see your *BIRTHDAY* entries! A fabulous card Sue, such a fun image and brilliant design. This is such a fun, festive card for someone's birthday. Love all the yellows like sunshine, which we finally got some of this morning. Hope you have a sunny day also. So adorable Sue!! :) That image really cracks me up!! I love it! Fab card. Love the recipe on the front. Hi Sue!! Hope that you had a great Easter!! Did you get a dusting of snow like we did...UGH!! :( I SO love this image...that card design and colours are fabulous!! Have a most wonderful day Sue!! Such a gorgeous card Sue, I love the cute image and wonderful design. This is such a fun card! I love the layout and the way it opens up. It's all so beautifully framed too.